$76.80 after fab discounts (Reg $96) Fab Discounts applied when you checkout. 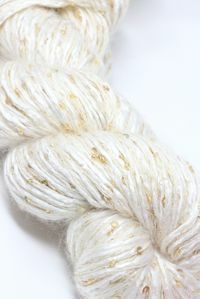 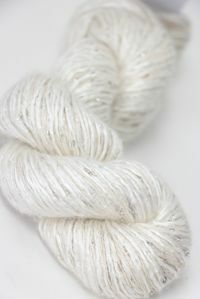 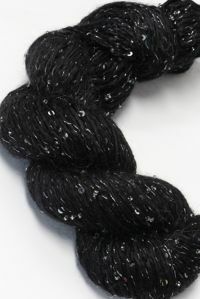 128 Yards/Worsted Weight. 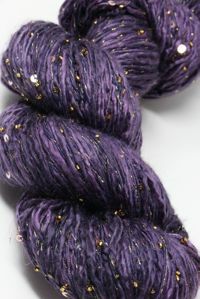 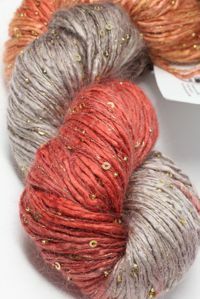 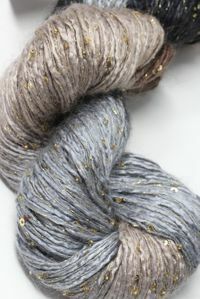 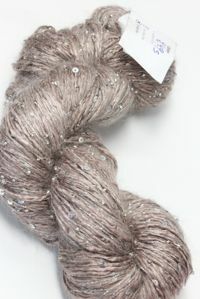 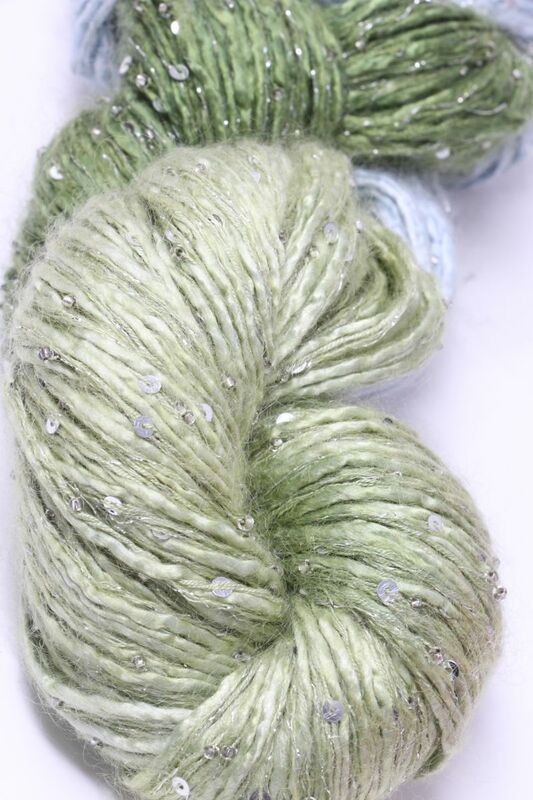 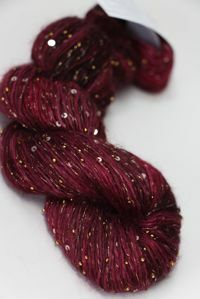 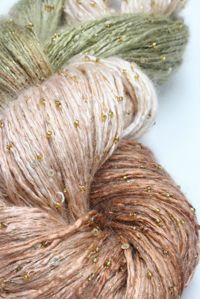 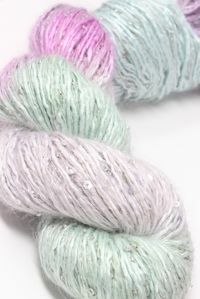 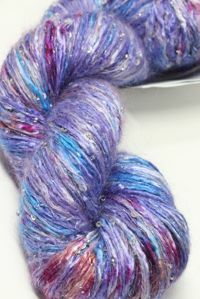 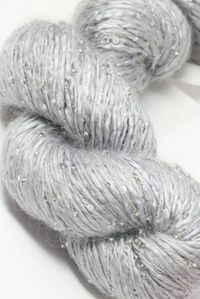 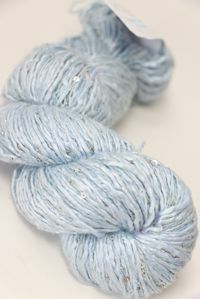 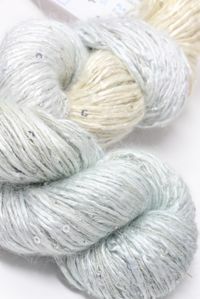 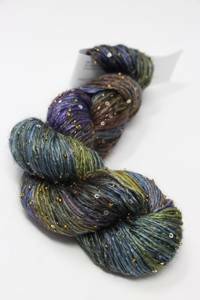 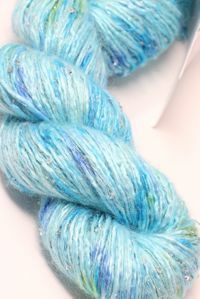 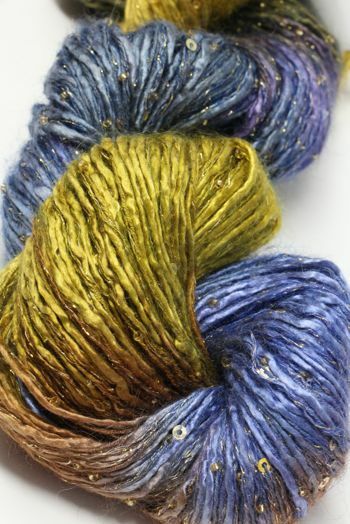 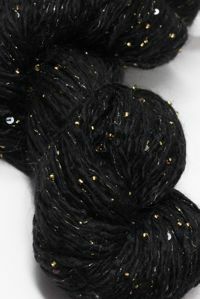 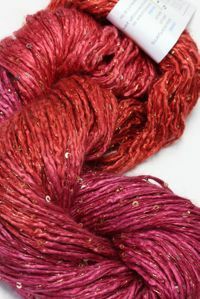 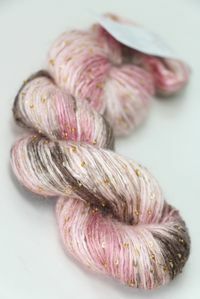 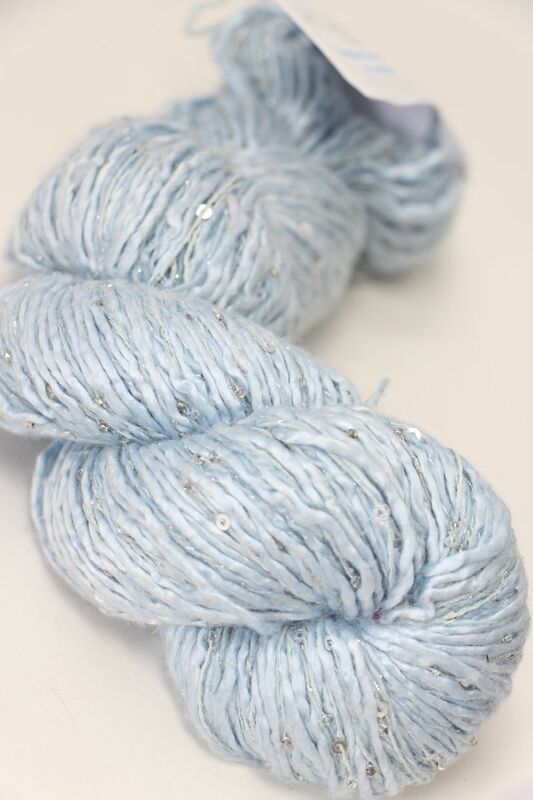 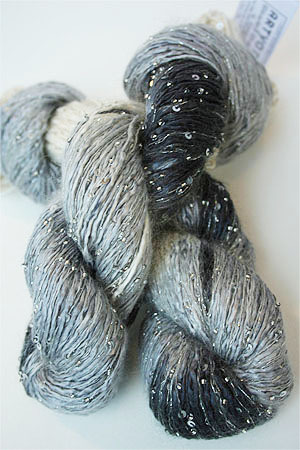 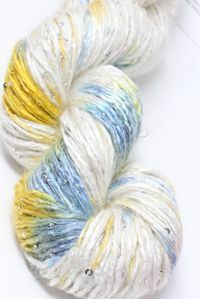 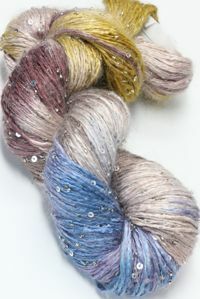 101 was one of the first yarn colors created by Artyarns, and it's still hugely popular. 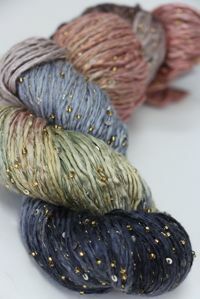 No wonder - it's gorgeous sunset infused golds, cremes and blues and evening lavenders make for a spectacular project. 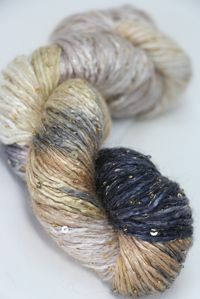 With Gold Beads & Glitter.